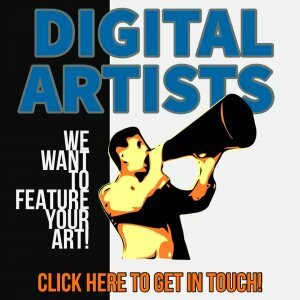 When making any kind of digital art on a mobile device, with the intent to print or sell our work, we need to make sure the image is large enough. Most modern mobile editing and enhancing apps can handle the native size of the device’s camera, so we should be able to get good results straight off the bat. When creating composites, especially where the app has a built-in stock browser, it’s not always obvious how large the final images will be. It’s really disappointing to spend time on a piece of art, only to find it will only print to the size of a postcard, or smaller! 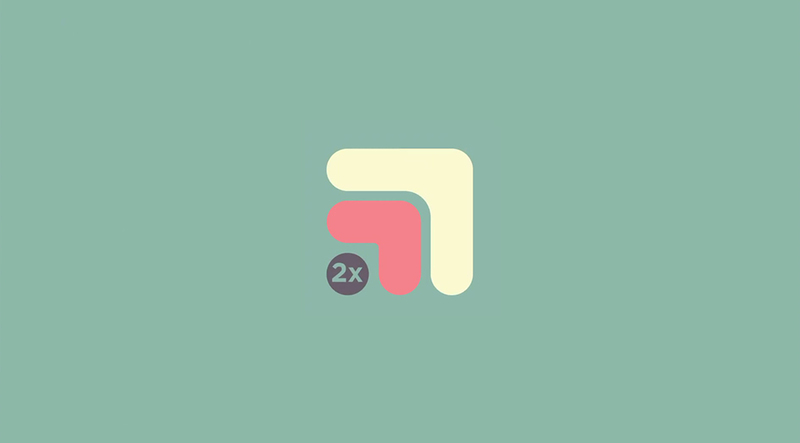 The Resize 2x app is designed specifically to double the dimensions of an image and it’s very good at it, too! 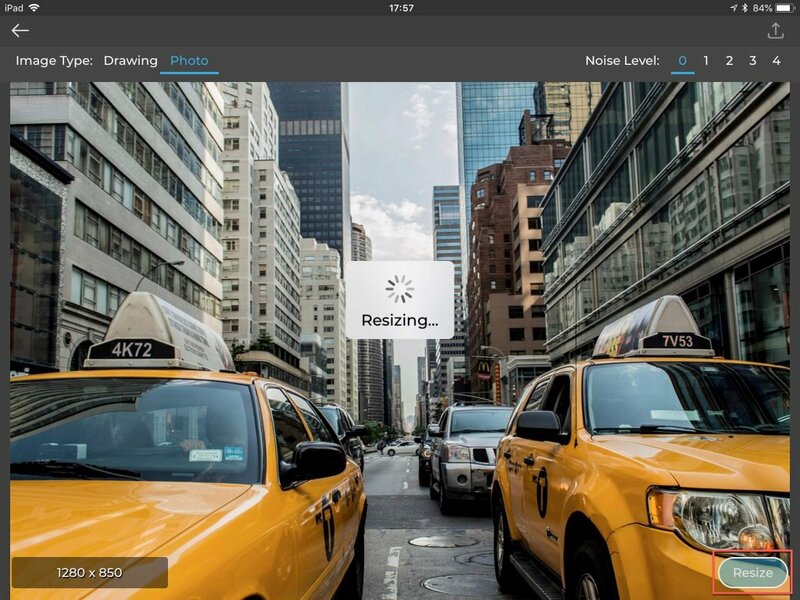 The developer states the app uses a Deep Convolutional Neural Network to process the images and as we’ll see in this review/tutorial, it works, as the results the app gives are just as good as we’d expect from desktop software such as Photoshop. This means we can keep our workflow mobile-only, without the need to transfer between devices. Return to front screen. Returns to the app mode choice screen. Image Type. Selects the algorithm used to analyse the image. Noise Level. Selects the amount of noise reduction to be applied to the result. 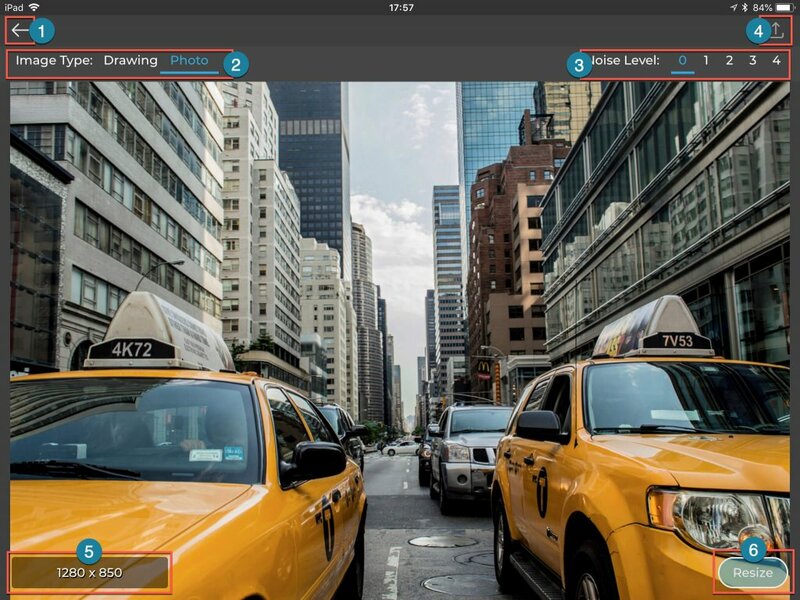 This effectively softens the image selectively to remove artefacts and colour noise. Save Image. Saves the completed render to the camera roll. Image Dimensions. Initially displays the original image dimensions. The new dimensions are displayed side by side once the resize is complete. Resize button. Initiates the resizing process. 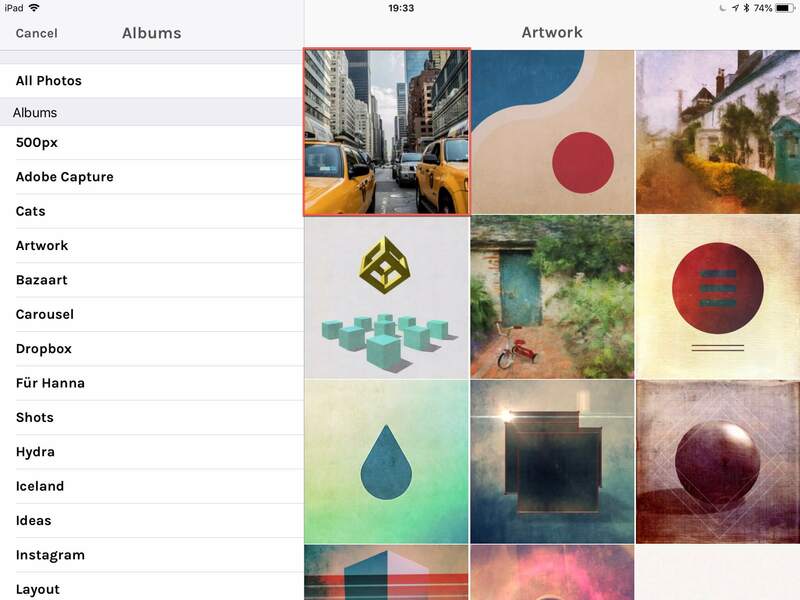 Tap the Resize 2x icon on the start screen of the app to open the image selection view. This has a nicely set out display, with easy access to the either the entire camera roll, or to the albums. The chosen image opens in the Resize 2x’s main interface. In this example I’ve used a low resolution image of 1280x850px; this would barely print at 4 by 3 inches at 300dpi. We can see the dimensions displayed in the bottom left corner of the screen. At the top of the screen on the left is the Image Type selector. 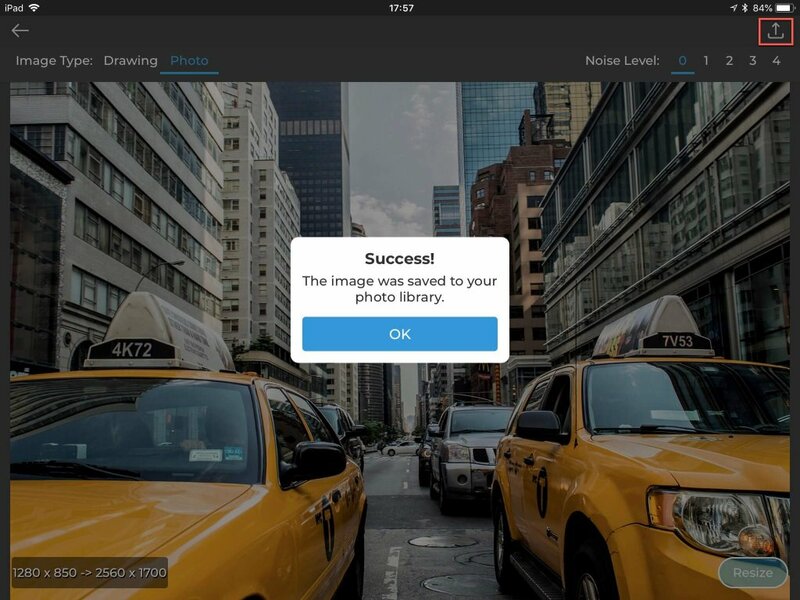 The default type is Drawing, when launching the app initially; the option has been set to Photo for the example. Each of the two modes determine the way Resize 2x analyses the image. Generally, we would want to use Drawing mode for scans of line art and sketches. Photo mode is typically for photos and montages. It is worth experimenting with both, however, as the results can vary depending on the detail in the image. At this point we can tap the Resize button in the bottom right corner of the screen to set the process off. A progress spinner appears to let us know the app is doing its magic. Resizing the example image only took a few seconds. 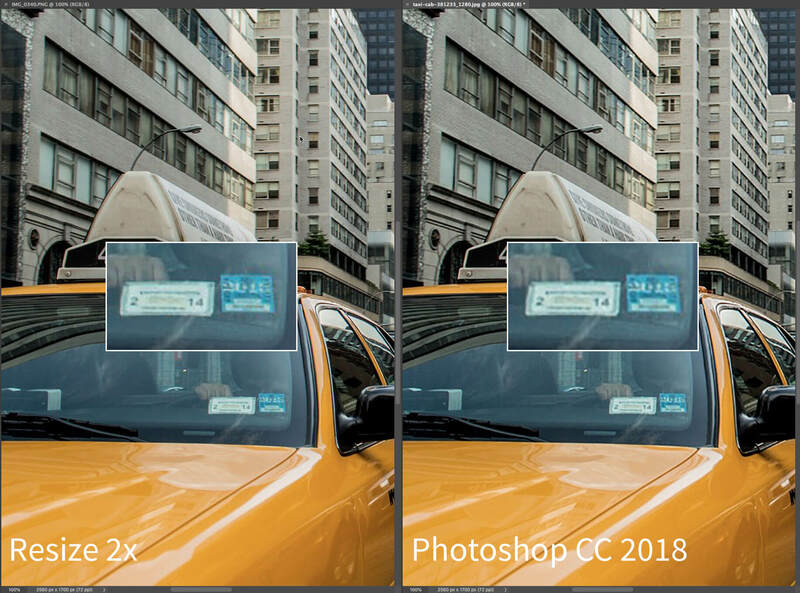 The time it takes Resize 2x to process an image depends on several factors: the initial dimensions, the complexity of the image and also the amount of noise reduction chosen. Some tests I ran took several minutes to perform, even on my iPad Pro. It would be useful if there was an option to create a test swatch before committing to a full render. Resize 2x does not automatically save the enlarged image, so it’s important to remember to save it. Tapping the upward arrow in the top right corner saves the image to the camera roll. It is worth opening the saved image to check the quality as there is no zoom facility in the app. To prove just how good Resize 2x is at enlarging images, I ran the same image through the current version of Photoshop CC, using the Best for Enlargements preset. As we can see from the image above, there is no difference in quality; if anything, looking at the insets on both versions, the app has done a slightly better job! Overall, Resize 2x is sleek and well designed. There’s certainly no disputing the technical capabilities of the app, as it delivers incredible results, easily comparable to those of its desktop based counterparts; it might not have the speed but it’s to be expected on a mobile device. If I had to mark it down, it would be because there’s no way to preview the enlargement before committing to the full render process. It would also be nice to have a way of inspecting the enlarged image in-app, rather than needing to save it first and view it in the camera roll. Enlargement isn’t the only thing the app can do. We’ll find out about the companion mode, Smart Ratio, in an upcoming review article. Stay tuned! Available on iPhone and iPad and iPod Touch (iOS 11.2 or later).